May was a slow month for the blog. We went on vacation to Grand Cayman. I’ll be putting a post together to showcase all the fun pictures and things we did, but here is a little Cayman Sunset for you ^_^. Beside our vacation my son has 1 week – 5 days of school left, before Summer Vacation. OMG where did the time go? My little kindergartner is growing up. Here is some of what he did throughout the year. We received our 1st Prime Book Box for Kids this month. You can check it out on the post HERE. My son loved getting a surprise package in the mail. During the school year they send home those Scholastic Book Club papers, where you can order books for your kids and help support the school. I remember as a kid getting my books from the Scholastic. At the time it was the only way to get books unless you had a store near you, which we didn’t. For my son I hadn’t order anything all year, but deiced that this is the last one coming, so I ordered the Dog Man Books and some Ninjago combo pack of books. My son likes both! He is a 6-year-old boy ^_^. Next up I had a flower growing in my garden that I didn’t know what it was. I asked and everyone said an Iris, well when it bloomed it was an Iris. It’s a leftover from the previous home owner and I’m glad I kept watering it, so I could enjoy. Mother’s Day was in May and my hubby and son got me KLASK: The Magnetic Game of Skill. It’s fun!! With May being the month we celebrate Mother’s Day I got a kick out of this post featured over at Vampire Book Club – 5 Worst Moms in Urban Fantasy. Under the Covers Book Blog did a post that is informative for bloggers on the GDPR and what it means for you – Blog it Out: GDPR for Bloggers. Subscriber Only Giveaway – Join the newsletter and enter to win $5 Amazon GC. Make sure to double check $ pricing. Some books are still free while others are back to their original or sale price. All links lead to Amazon. When you do purchases a book or product through our posts it helps the blog with no added cost to you. All proceeds from the affiliate links support this blog and are used to fund the giveaway’s. It’s all completely anonymous. All support is approached. Thank you! This month I won a few giveaways that I entered. I do love #BookMail! 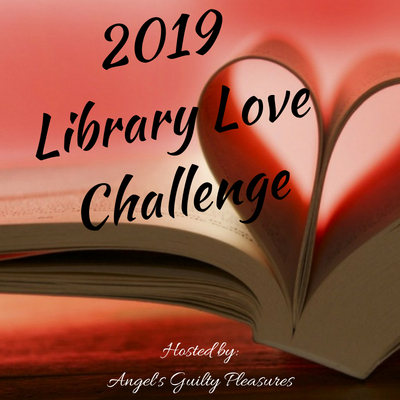 We have Midnight Wolf by Jennifer Ashley from Berkley via Delighted Reader, Her Dark Half by Paige Tyler from Sourcebooks via Book Tour, I won the April Discussion Challenge Giveaway via Feed Your Fiction Addiction and It Starts at Midnight and I picked Wild Wolf by Jennifer Ashley. I also won two gift cards to Amazon: one for $30 by entering the giveaway for the Tour of Heart of a SEAL by Dixie Lee Brown & another for $20 for sharing Sight Lines by Cara Carnes on my social media sites. I also received some FREE bookmarks from Debora Cooke in the mail which I plan on giving away this summer with the Win It Wednesday posts. Amazon – I picked up the paperback copy of Tiger Striped. To complete my novella collection on the paperbacks and as you can see (look up) I’m working on getting the novels too for the Shifter Unbound series. Pre-Ordered Iron and Magic in eCopy. Amazon Free eCopy – Bound by Faerie, Alien Healers Baby, Against the Ropes, Rescuing Emily, Sadie’s Shadow, Spark (Galaxy Alien Mail Order Brides), Jade Calhoun Series Boxed Set (Books 1-3), A Vampire’s Thirst: Alaric, & Banning. Nook eCopy – I started with a nook and so have kept up keeping the Elder Races and Shifters Unbound series on the device. I bought Planet Dragos & Tiger Striped. Audiobook – Magic Slays (1 Audible Credit) completes my Kate Daniels collection in audio. May was a slow month, because I went on vacation and I haven’t been feeling in the mood to read anything new, so I’ve been doing a lot of re-reading well listen for the first time of books I’ve already read: Dragon Actually – Audio, Rebel Dragon, The Beast in Him – Audio, The Mane Event – Audio, Ocean Light (ARC), Planet Dragos (ARC), Blood Rites, Penumbra, The Ancient Magus’ Bride, Vol. 1, & Tiger Striped. I picked the Charley Davidson Series (13 books/9 to read) for this challenge. I haven’t read or listen to any of the books I have left in the series, yet! Thank’s for stopping in and checking out May’s Monthly Wrap!